The readers have spoken…and clearly they’re Bit By a Fox! We won, you guys! We WOOOOONNN! 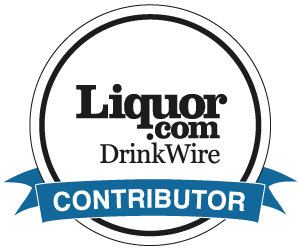 Bit By a Fox blog has won Readers’ Choice Best Cocktail Blog for Saveur Magazine’s Fifth Annual Best Food Blog Awards 2014!!! This was obviously a group effort and I cannot thank you all enough – for voting, trying to vote twice and failing, attempting to vote on your phones and getting frustrated, voting despite having to register and only complaining about it a little bit…and spreading the word far and wide these last couple of weeks. I have been so moved by all of your incredible support. You like this boozy blog, you really like it! With more eyes on it than I ever imagined, I guess I better step up my game! Not even a year old yet, I am so proud of what this blog has become and I look forward to growing even more with all of you. Thanks again for being the foxiest friends around. « Welcome to Hibiscus Town!